PRINCETON, N.J. – Jan. 24, 2018 – PRLog — Capturing special moments through photography, writing captions to engage readers in a story, developing designs that are visually appealing and tie back to a central theme, including as many students as possible in a historical document; all of these elements are important in producing a captivating and timeless yearbook. Staff members and Advisors work tirelessly throughout the year to create a project that they and their school community can take pride in. Desert View High School in Tucson, Arizona has been working with Entourage Yearbooks since 2012 and Mr. Curtis Dutiel has been the Yearbook Advisor since 2015. Some of Mr. Dutiel’s most memorable moments have been hitting the “submit" button on the first yearbook 2 years ago and being notified that they had placed in Entourage’s National Yearbook contest. In both of these moments, he and the yearbook class experienced a great sense of joy and accomplishment for the hundreds of hours they had put into working on their project. This year, Desert View received Third Place for Cover Design and Fifth Place for Overall Book Design in Entourage’s 7th Annual Yearbook Contest along with a number of Honorable Mention Awards. In the 6th Annual Yearbook Contest, they received First Place for Photography and Third Place for Overall Book Design and they placed in two divisions in the 5th Annual Yearbook contest as well. They set the bar high when it comes to executing their vision. They developed a central theme throughout the year and fully incorporated it in the book. They focus on creative design elements and photography, and each of the 22 students enrolled in Advanced Photography/Graphic Design II get to put what they learn into practice as they are primarily the ones responsible for the creation of the yearbook. Not only does the class focus on photography and design; they also try to make their yearbook each year an interactive experience through the use of technology. Each summer, Entourage Yearbooks web developers work to update their EdOnline software to include the latest technology. In past years, Desert View has included QR Codes to link students to video footage of events that happen during the year. This year, they have decided to explore the use of an augmented reality platform titled Aurasma. Aurasma’s image recognition technology uses a smartphone’s or tablet’s camera to recognize real world images and then overlays media on top of them in the form of animations, videos, 3D models and web pages. Once you “scan" a photo, the image seemingly comes to life right before your eyes. With the incorporation of this technology, students and parents can be transported back to a particular moment in time and relive those precious memories. 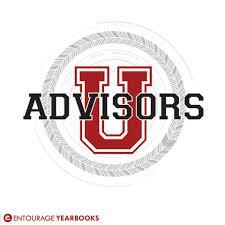 Of his experience in working with Entourage Yearbooks, Mr. Dutiel commented, “It has been unbelievably great. Responsive support when issues arise, and the 3 week turn-around has been a god-send. Other yearbook advisors I know have to finalize their book by late February for an early May delivery, (but) being able to wait until early April allows us to get more of the spring events into the book."